I woke up at 6:30 on Saturday, due to the large volume of inordinately cheerful Germans who stormed the dormitory. Giving up sleep as a bad job, I hiked over the river, found a hotel who was willing to sell me some time at their buffet, and settled down with three cups of coffee and some bread and jam to wait for a more reasonable hour. 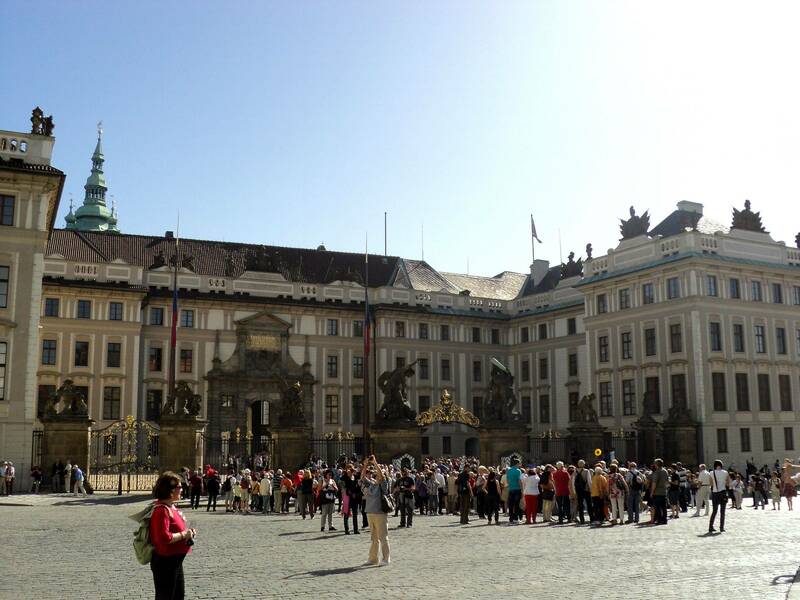 By 9, I was ready to go, so I climbed up to the Prague Castle. The gate was swarming with people waiting for the changing of the guard. It was so weird to be here again after six years–the last time I was in this part of Europe, I was 14 and with my orchestra. 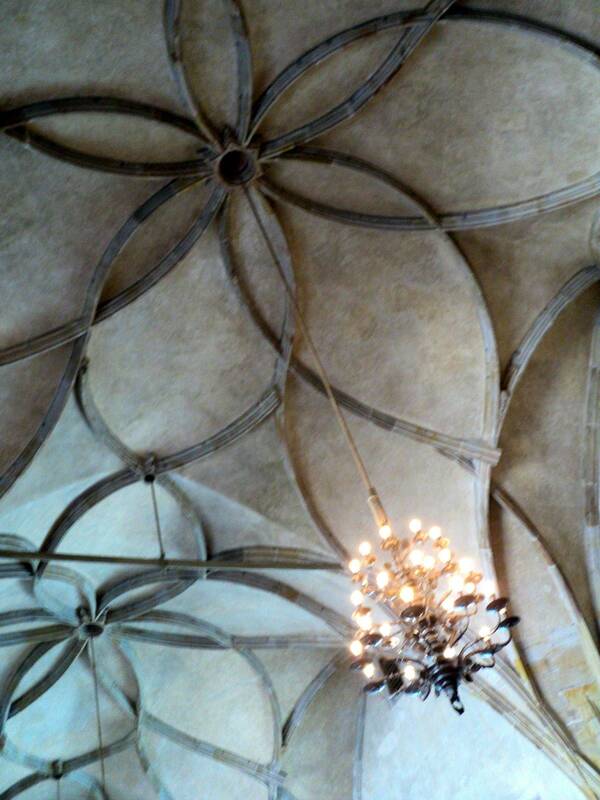 Some cool ribbing holding up the vault of the main dining hall in the old palace. 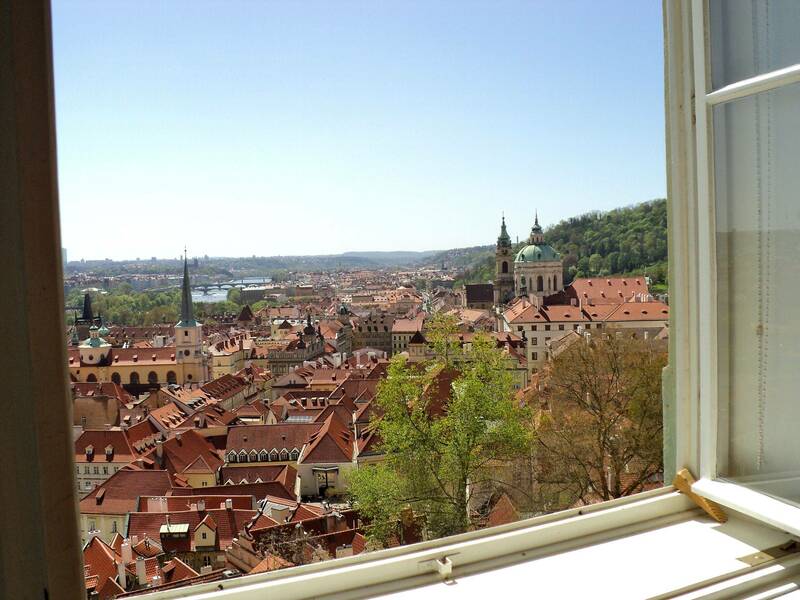 The window from which the Second Defenestration of Prague occurred. It’s a long way down. Looking out toward Lesser Town, which is actually the prettiest part of the whole city. Really excellent handwriting. I love their version of what we chalk-users call ‘blackboard bold’ there in the first line. 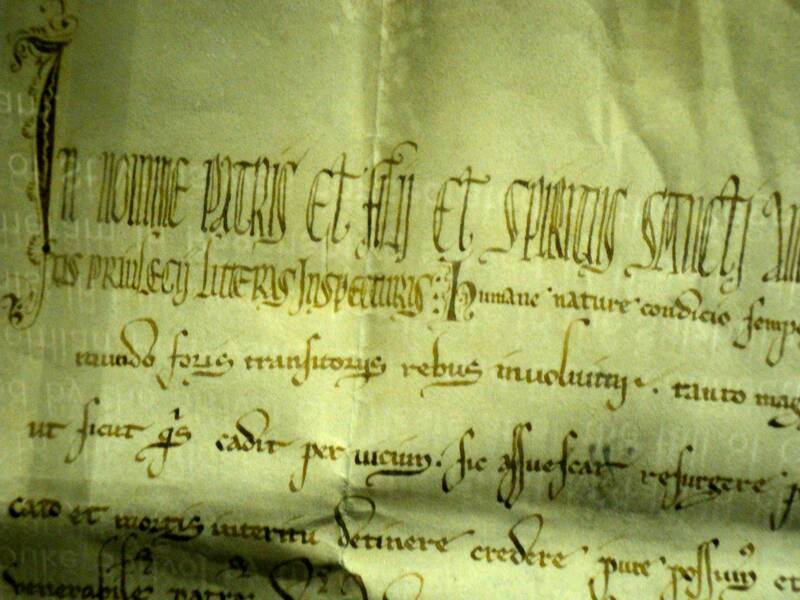 I am pretty sure that the main body of the paper is Latin as well, but I’m not certain. 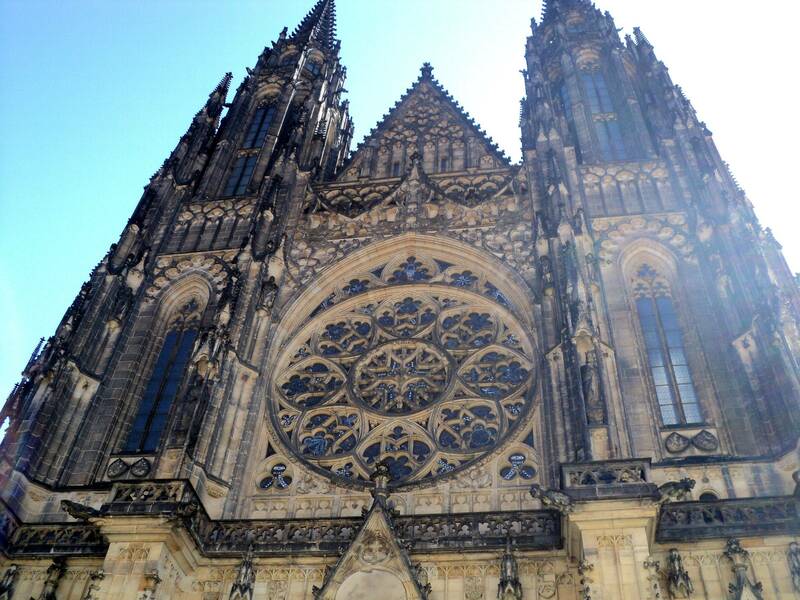 St. Vitus’s Cathedral, which, in its present form, took nearly 600 years to build (1344-1929). It’s kind of a mix of Gothic and Neogothic styles, but is actually quite graceful and harmonious, at least on the outside. The inside is a little messy, full of relics (St. Vitus and St. Wenceslaus) and tombs and carvings and gilding. Not my favorite cathedral but I do tend to go for the austere ones. It was also good luck that I was reading The Pillars of the Earth by Ken Follett at the time, so I could follow what his characters were doing by comparing their cathedral to this one. The book is pretty good, if you need some pop-y historical fiction. The amount of research done by the author on everyday life in the middle ages is astonishing. Spectacular late 19th-century glass in the big cathedral inside the castle. 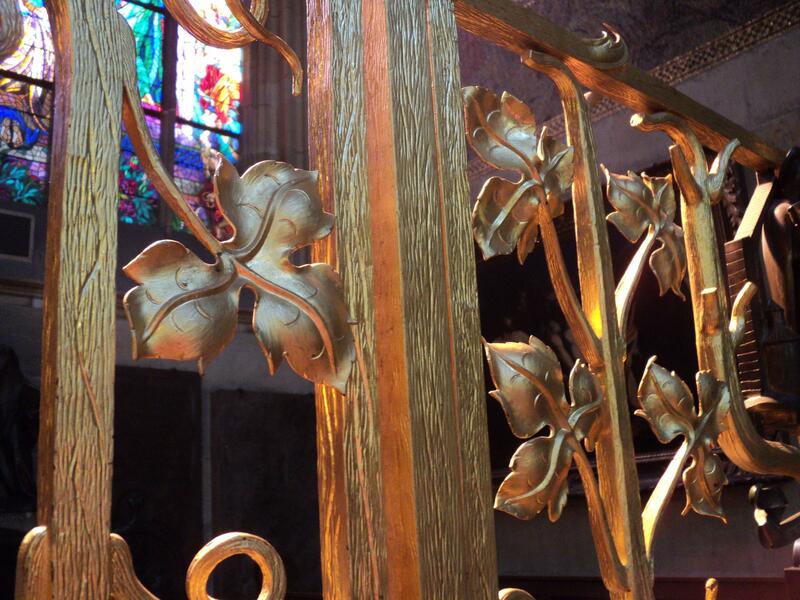 Some cool gold-work in a chapel near the door. The flowering trees are in full bloom there. I left the castle after three or so hours and climbed down into the moat and back up the other side. 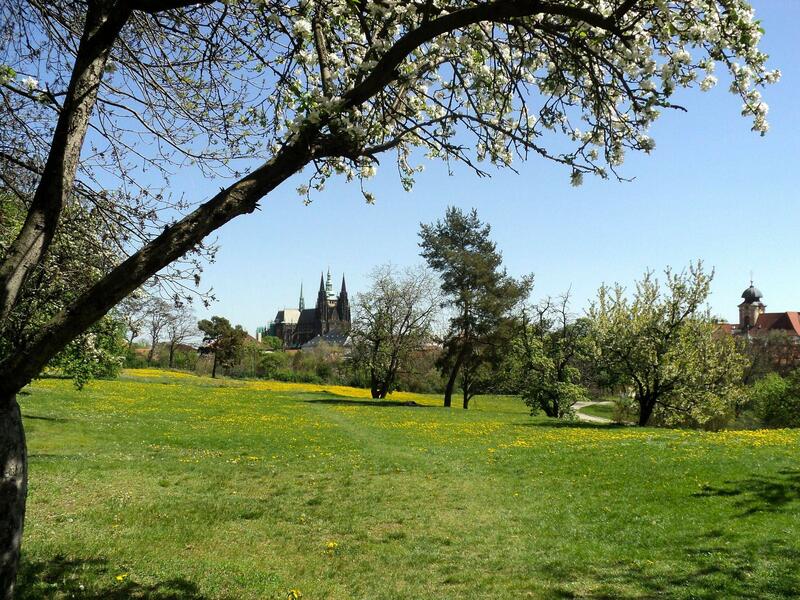 I had taken some bread and cheese from the hotel buffet and had a nice lunch in this meadow under the apple trees. 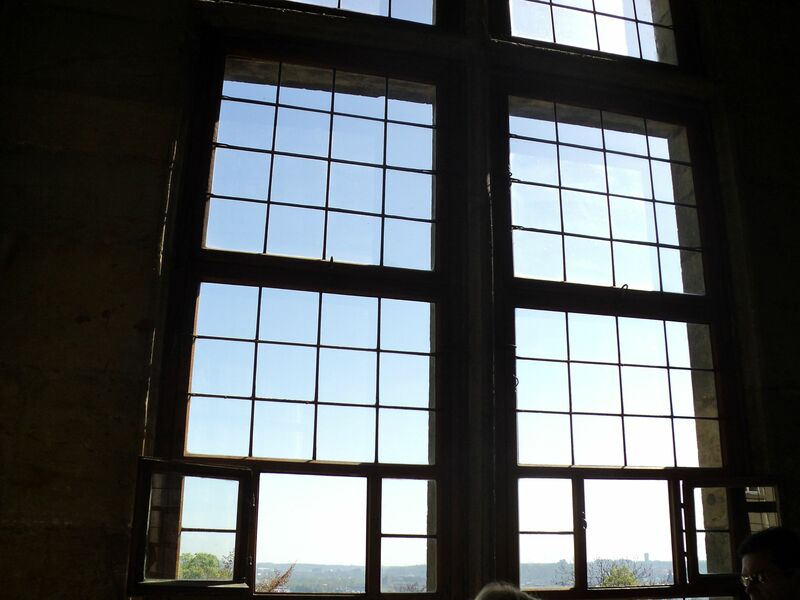 I like your pictures of the city out the window and the architectural details. 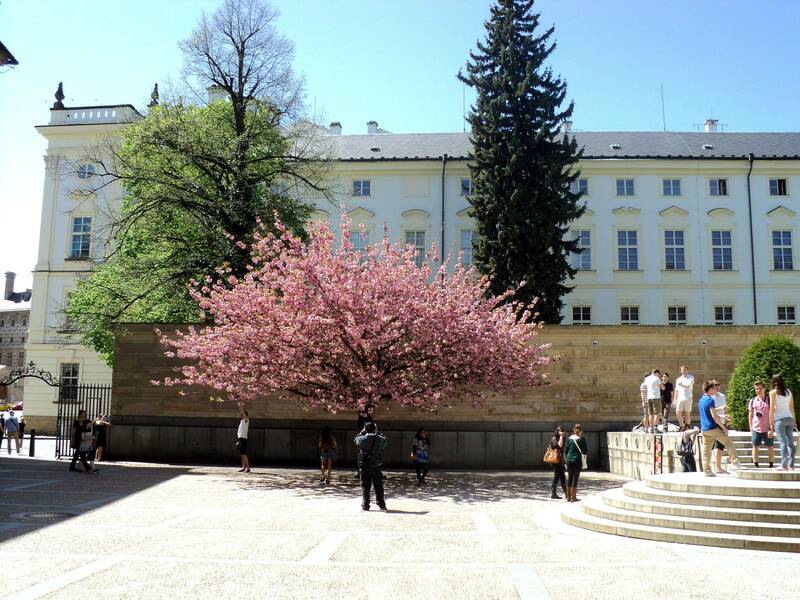 Spring seems to show off a city at its best! 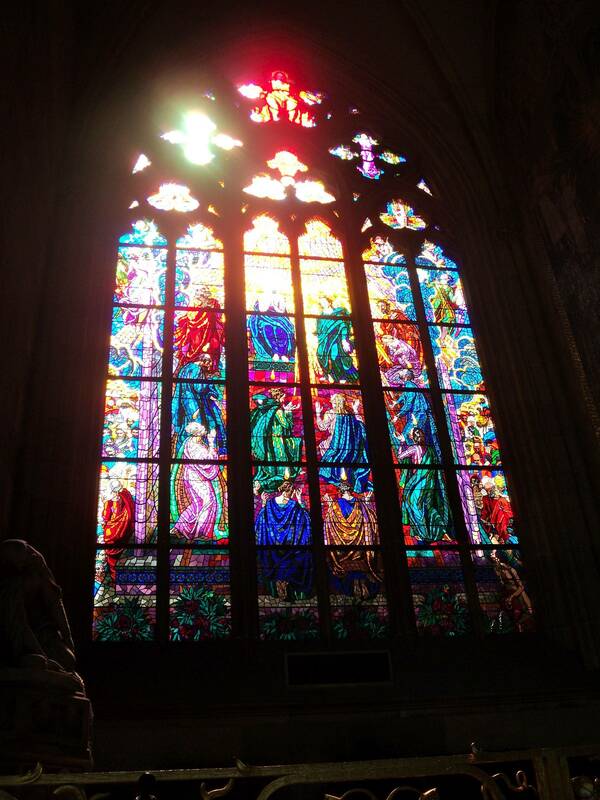 The stained glass window picture was stunning. Thank you so much for sharing your travels. It’s been a vicarious pleasure. I wish we could come and have you take us around. Maybe some other year. Your big bro got a job offer. Give him some love.